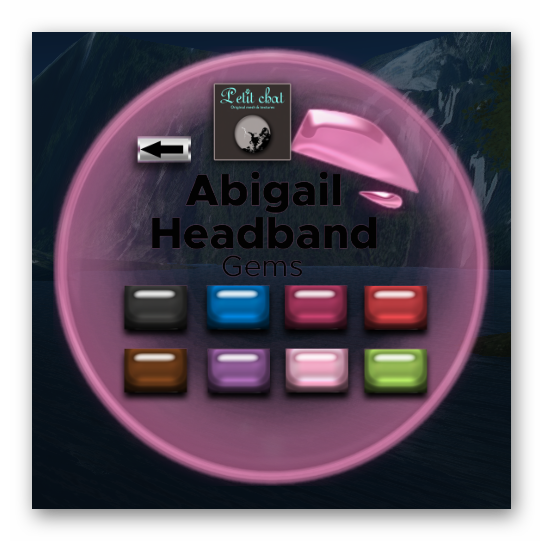 The Abigail headband is the latest addition to Petit Chat's range for headband and it comes with a user friend HUD which allows you to customized some of the colors and texture. For each of the sections : Lace, Metal, Stone, Gem and Pearls, there are a variety of colors which you can choose from. The really depends on your mood right? So how does it looks on Kitty? Its gorgeous! Notice that despite the hair Kitty had combed up on the day, it does really get in the way with the headband at all. They look perfectly natural on each other!